/Creating, Editing and Managing Events /How do I add dividers with labels to organize my ticket options? 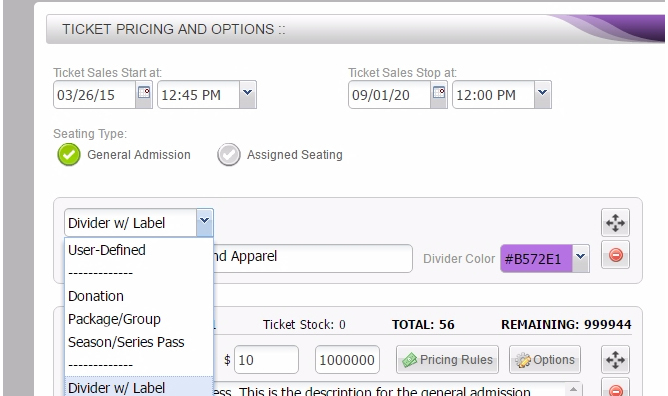 Under “Ticket Pricing and Options” add another ticket type by clicking on the + button below the last ticket type. After this, click on the drop down menu and you will find the “Divider w/ Label” option. When you select this, it will show a place where you can put a title and you can choose the color as well.